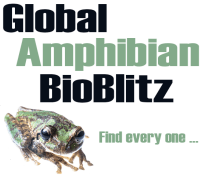 Amphibian Zoo Studies – Many of these can be completed during normal conservation breeding activities, and directly benefit the zoos amphibian husbandry. They also can be a fun and educational experience for both researchers and the public, and lead to outreach and collaborations. Amphibian Husbandry – Housing, diet and nutrition, live feed enrichment, optimal temperatures and environmental enrichment. Amphibian Reproduction Technology – The background to reproduction in amphibians, how to condition amphibians for reproduction, the use of temperature or rain tanks to promote reproduction, and the use of hormones and in vitro methods for amphibian reproduction. 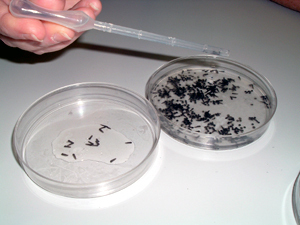 Amphibian Larval Rearing – The theory and practice of raising amphibian larvae. Methods – Formulas for different solutions, measuring amphibians or counting eggs from images, handling and weighing very small tadpoles without harm, temperature conversion charts, etc. 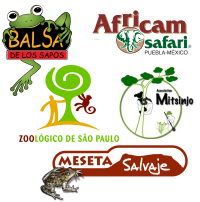 The Guide is mainly based on the potential of different scientific fields to contribute to research that supports conservation breeding programs, and on developing research potentials that engage the widest range of participants. The Guide extends through conservation breeding programs including field assessment and amelioration of threats, the selection and sampling of founders, the husbandry and reproduction cycle, and reintroduction. The current science to support conservation breeding programs for amphibians is limited. Some scientific fields that support amphibian conservation breeding programs are relatively well-known including amphibian embryology and development, physiology, endocrinology, immunity, toxicology, reproduction and ecology. Others including nutrition, behaviour and stress, cycles of temperature and lighting, their specific effect on reproduction, and amphibian diseases are poorly known. 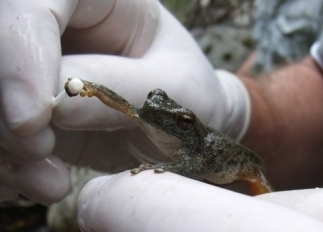 Research is emphasized in the Guide that: directly contributes to both ex situ and in situ components of amphibian conservation; extends research programs widely throughout scientific fields; involves the global community; targets conservation breeding programs; encourages collaborations; directly benefits participating institutions and more broadly humanity; supports young conservation scientists; and develops benign research techniques. Zoos, private amphibian keepers, commercial breeders, researchers, aquaculture facilities and aquariums, science researchers and educationalists have led the way to manage and consistently reproduce an increasing number of amphibian species. For private breeders these achievements have come from the challenge of being pioneers in the husbandry and reproduction of novel species. For commercial enterprisers the goal was the provision of large numbers of amphibians for display, consumption or research. This knowledge must now be harnessed, and expanded through research, to support conservation breeding programs for a very diverse range of amphibian species. Many studies of amphibians can be directly applied to reptiles, and their results also benefit other groups including birds and fish. Contributions will be welcome to our range of supplementary material. We hope to increase the range of science and research documents. Please contact kevinj@amphibianark.org for further information.